Ok, so it's been a while since my last post... But can you blame me? We just moved house! For as long as I can remember (since I was about 2), we've lived in Sandy Beach. We'd been thinking about moving for a while, and at one stage actually put our house up on the market. Since we couldn't get the price we wanted, we decided to stay where we were. A few years on, we were suddenly discussing the prospect of moving again. 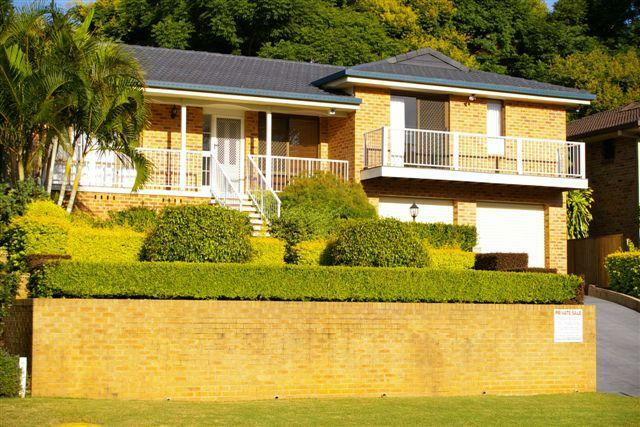 A few internet searches and house inspections later and we had found a nice, two-story brick home in Coffs Harbour. We made an offer and it was accepted. All the paperwork happened while we were in New Zealand so once we got home, we started packing. Over next few weeks, we slowly started moving boxes into Coffs, then on the 30th of May 2009, we moved in! The move into Coffs was for a few different reasons - mainly because we all work in Coffs, we wanted a more solid, brick-and-tile house, and we wanted to live on a quieter street (Sandy Beach was getting a bit busy). We all love the new house, and living in Coffs Harbour definitely has its advantages. I've bought myself a new bike and will be riding to and from work each day (once I can get it put together properly). I've got my own little downstairs granny-flat/bedroom with ensuite and kitchenette, and thanks to the local electricians, now have internet! Tonight we're hosting an engagement party for my brother Stephen and his fiancée Megan. They get married in November. Hopefully that's caught you up on everything that's happened over the last few months. Stay tuned.